Weighing the potential savings from solar. 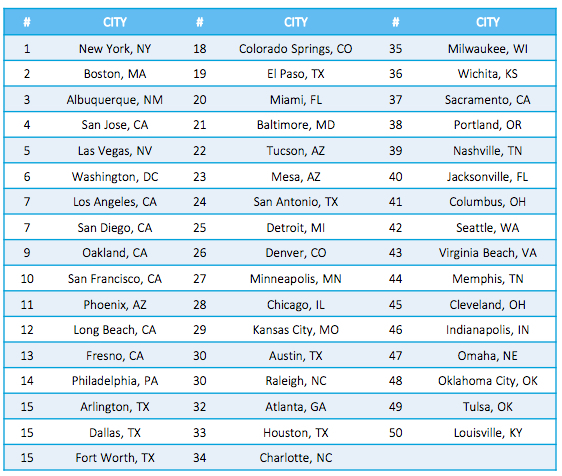 Researchers created a ranking system to score the investment potential of solar electricity in 50 cities. Factors included first-year savings, value of solar vs. a long-term investment in the stock market, and the levelized cost of the system. In 42 out of the country’s 50 largest cities, electricity produced by fully financed photovoltaic (PV) systems would be cheaper than power purchased from the grid, researchers from the NC Clean Energy Technology Center said. Their report, Going Solar in America, also found that in 46 of the largest U.S. cities, a fully financed system was a better investment than the stock market. Of the single-family homeowners in the country’s 50 largest cities, the authors estimated that 9.1 million live in a city where solar electricity costs less than utility power if they purchased a PV system outright. Nearly 21 million people, 93 percent of all single-family homeowners, in those cities could beat utility rates if low-cost financing were available. 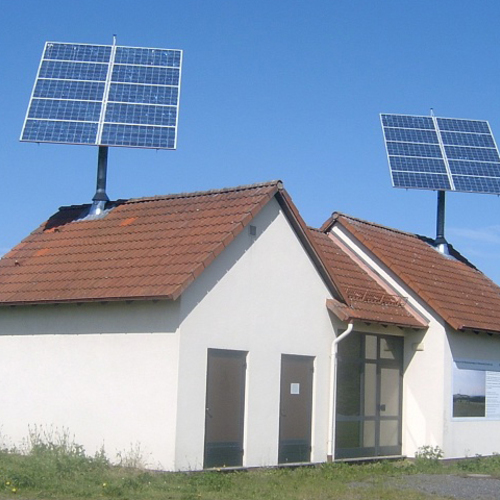 Citing information from the U.S. Energy Information Administration (EIA), the report notes that the median cost of a PV system (before tax or other incentives) dropped from $12 per installed watt in 1998 to about $4.70 per watt in 2013, a decrease of 60 percent, and had fallen to between $3.70 and $4.24 per watt by the third quarter of last year. 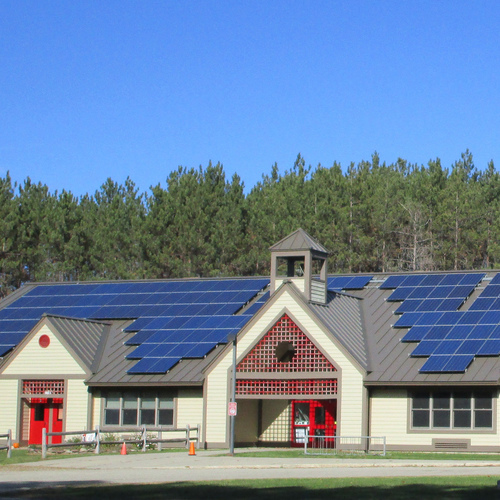 Benefits are not limited to parts of the country with a high solar potential. In fact, homeowners in some cities not known for sunny weather should be able to offset a higher percentage of their consumption with solar sources than those living in much sunnier places. For example, in Boston, a 5-kilowatt PV system could be expected to produce 567 kWh of power a month, about 75 percent of the average use of 761 kWh, the report says. The numbers in Chicago are very similar. 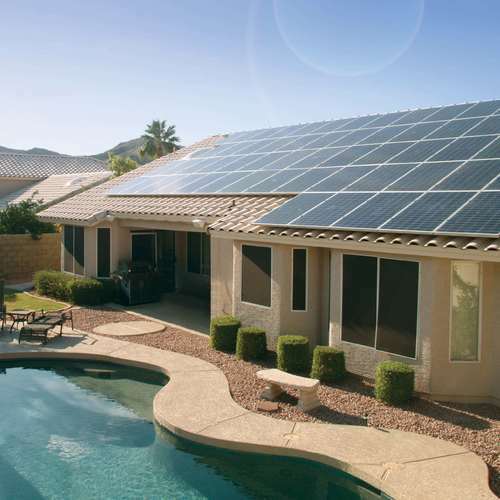 In Phoenix, Arizona, the same system would produce 735 kWh of electricity — substantially more power but still only about 68 percent of the average monthly 1,077 kWh total use. And as hardware costs for PV systems drop, savings will increase. The EIA forecasts increases in utility rates of between 33 percent and 83 percent over the expected 25-year life span of a PV system, the report says. “When the declining cost of solar is coupled with the rising cost of grid electricity, the financial case for solar (given the strong odds of future rate increases) can be quite persuasive, particularly for locales with higher than average electric rates, such as California and the Northeast,” the report says. The report also points to a range of state and federal incentives as important motivators. Net metering, which allows PV owners to sell excess power to their utilities, is either state policy or offered voluntarily by utilities in all but four states (South Dakota, Tennessee, Alabama and Mississippi). 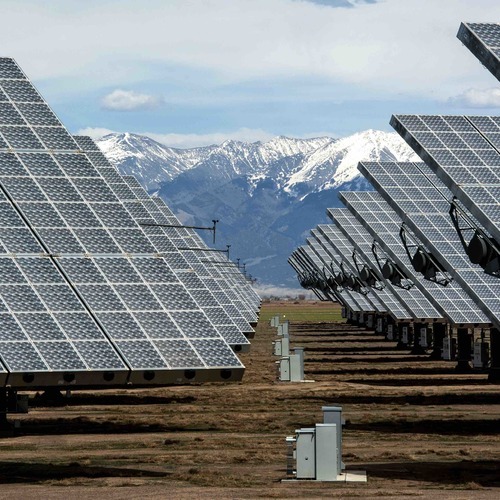 Many states also have renewable portfolio standards requiring some portion of electricity come from solar sources. In addition to the 30% federal Investment Tax Credit, many states offer rebates, state tax credits, sales tax exemptions, and property tax exemptions on PV equipment, the report notes. When it’s all added up, a 5-kW system can save consumers in some California markets about $185 per month during the first year of operation (before a loan or lease payment is calculated). Savings are greatest, the report says, for customers of Pacific Gas & Electric, San Diego Gas & Electric, Southern California Edison, Arizona Public Service, and NSTAR, which serves Boston-area consumers. PV systems bought with a loan have a greater net present value (the value of the investment over its lifetime in today’s dollars) than PV systems purchased outright with cash. In many of the country’s biggest cities, the net present value of a dollar invested in PV yields a better value than a dollar invested in Standard & Poor’s 500 stock index fund. Hardware costs for PV have dropped steadily, but the “soft costs” of installation, financing and permitting, accounted for 64 percent of total system costs in 2012. “It is not hyperbolic to say that the soft cost reduction challenge is at the heart of getting rooftop solar PV to a level of broad-based cost- effectiveness,” the report says. The Author confused me with the calculations used so I ran some numbers of my own. The levelled cost and lifetime of the system is also not very specific, so I assumed a 20 year life, as thats the warranty provided with the solar equipment sold here. I know the panels can last much longer with only a slightly reduced output, the inverters are still questionable, I've replaced hundreds of dollars of micro inverters in my system already, all covered under warranty thankfully. SO from South Central Ontario Canada. Here are the numbers I came up with using google to research current system prices, and my current systems output verses my household electricity bills. My family house usage is around 600 kWh's / month. ( I know, Im embarrassed to print that considering I heat and cook with gas and even tho its below the posted average for a home in Boston or Phoenix it still seams very high to me..) That costs me around $85 per month with taxes, delivery, debt retirement charges, storage charges, account fees etc etc etc.... or $1000 for the year. Going rate for a 10Kw system installed in Ontario is now as low as $20,000 Cdn. I paid 80 for mine 4 years ago.... So lets figure on about $2 per watt, and my house would need 7200 watts per year, so about $14,000 worth of panels and inverters. Borrow $14,000 for 18.75 years, paying the bank $5000 in interest, to save $1000 per year in electric bills at todays rates. Im not a math guru, or a stock trader, but I don't see that as a great return on my investment. Not that solar is expensive here anymore, our electricity is to cheap for now to push people to make the move.